The majority of the procedures performed in our office are not covered by health insurance, with the exception of medical varicose vein disease and certain skin disorders, including pre-cancers. 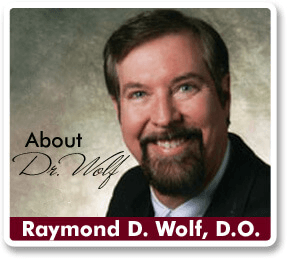 During your private consultation, Dr. Wolf will inform you whether he believes that your procedure might be covered all or in part by your health insurance. We are under contract with several major commercial insurance carriers including Medicare, Anthem, Aetna, Cigna, United Healthcare, and other major commercial insurance plans that may change from time to time. To discover whether or not we accept your specific plan, simply check the provider list on your health insurance company’s website or call your carrier through the number on your insurance card. If your insurance provider is within our coverage network, you may wish to contact them and confirm whether your specific procedure will be covered. If your procedure does not qualify for health insurance reimbursement, our practice accepts payment in the form of cash, check, debit card, or cashiers check. For patients wishing to budget their beauty over time, the options include payment via credit card, a home equity line of credit (which may have tax benefits) or private financing through one of our two financing partners that specialize in cosmetic procedures. If you would like to finance your procedure through one of our accepted financing partners, you may submit an application using the links below. Once you have established a credit line, call us to schedule your consultation and get your rejuvenation started! Prosper HealthCare Lending is the premier financing company in the cosmetic surgery industry. With over $5 billion funded and over 300,000 loan inquiries serviced through their lenders, Prosper HealthCare Lending is a name and a program you can trust. CareCredit® can help you move forward with getting the procedure you’ve always wanted. With convenient monthly payment options, no up-front costs, no prepayment penalties and no annual fees, you can get your procedure sooner. CareCredit® works just like a credit card, but is exclusive for healthcare services. With low monthly payments every time you use it, you can use your card over and over for follow-up appointments or different procedures. This means you don’t have to put your health and beauty needs on hold until you save up enough money. CareCredit gives you the power to decide when it’s the right time for you.